We invite you to participate in a live CE webinar, Vancomycin Dosing: From Trough to AUC. There are no fees for participating in this 1.0 contact hour CE activity. Discuss the data supporting an AUC-based dosing strategy for vancomycin. Describe anticipated recommendations from the upcoming vancomycin guidelines. Describe the different approaches and pros and cons for estimating vancomycin AUC exposures. Outline key strategies to successful implementation of an AUC based dosing protocol. Michael J. Rybak, Pharm.D., M.P.H., Ph.D. This activity is jointly provided by ProCE, Inc. and the Society of Infectious Diseases Pharmacists. ProCE, Inc. is accredited by the Accreditation Council for Pharmacy Education as a provider of continuing pharmacy education. ACPE Universal Activity Number 0221-9999-18-394-L01-P has been assigned to this live knowledge-based activity (initial release date 10-18-18). 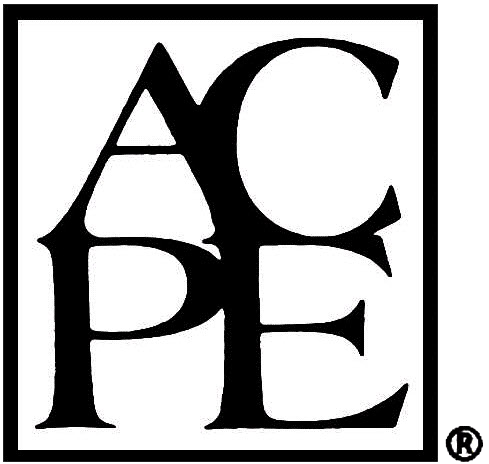 This activity is approved for 1.0 contact hour (0.1 CEU) in states that recognize ACPE providers. The activity is provided at no cost to participants. Participants must complete the online post-test and activity evaluation within 30 days of the live activity to receive pharmacy CE credit. Statements of completion will be issued online at www.ProCE.com and proof of completion will be posted in NABP CPE Monitor profiles. No partial credit will be given.